Please contact us to discuss any of these Aerospace & Defense Resources or to share other resources that should be included on this page. Risk, Issue, and Opportunity Management Guide. ESOH Risk Management Methodology for Systems Engineering supported by ARM. ISO is a commonly adopted enterprise standard for Enterprise Risk Management, fully supported by ARM. Critical guidelines for compliance with the U.S. Office of Management and Budget. ARM fully supports the GAO & OMB recommendations for robust risk management. A must read for all who work in or around the U.S. Defense Industry. ARM meets all DoD requirements for qualitative and quantitative risk management for projects, programs and across entire organizations. U.S. Government requirements for cyber security and risk management, fully supported by ARM. A commonly used risk guidance, supported by ARM. 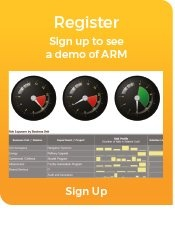 Requirements for integrated risk management, fully supported by ARM. A commonly used risk guidance standard, fully supported by Active Risk Manager (ARM). Updated risk management requirements around rigor and program robustness. The prospect of a sudden, disastrous reduction in Defense spending is daunting. The mechanisms by which the reduction might be effected could make it even worse in certain segments of the GovCon world. The Digital Government Strategy complements several initiatives aimed at building a 21st Century government that works better for the American people. These include Executive Order 13571 (Streamlining Service Delivery and Improving Customer Service), Executive Order 13576 (Delivering an Efficient, Effective, and Accountable Government), the President’s Memorandum on Transparency and Open Government, OMB Memorandum M-10-06 (Open Government Directive), the National Strategy for Trusted Identities in Cyberspace (NSTIC), and the 25-Point Implementation Plan to Reform Federal Information Technology Management (IT Reform). PortfolioStat is the new tool that agencies use to assess their portfolio management process, make decisions on eliminating duplication and waste, and ultimately maximize return on IT investments. The U.S. Government is rethinking how it buys and implements IT products and services, providing agencies with the ability to purchase a broad range of IT services in a utility-based model. The plan presents a variety of factors that contracting officers, in support of IT managers, will need to consider as they plan for modular development efforts, such as whether to award to a single vendor or multiple vendors, how broad or specific the statement of work should be, etc. This Act provides a framework for improving an agency’s performance of programs and operations through a robust risk management program. Exhibits 300s establish policy for planning, budgeting, acquisition and management of major information technology (IT) capital investments. The Office of Management and Budget (OMB) provides procedural and analytic guidelines for implementing specific aspects of these policies in OMB Circulars and their associated appendices. The OMB 123 Series sets out the objectives of internal control: Effectiveness and efficiency of operations, reliability of financial reporting, and compliance with applicable laws and regulations. ARM empowers organizations to meet these objectives by enabling a control environment, risk assessment, control activities, and monitoring. "Active Risk Manager has become the standard risk management system used, supporting a common and consistent process used within the Space Technology sector."